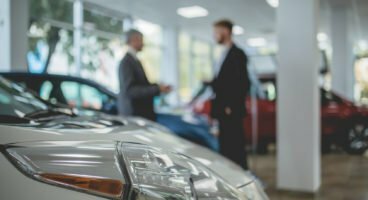 A major free seminar on “The Challenges of 2019” facing the used car and van sectors has been announced by The Vehicle Remarketing Association, which represents organisations involved in the buying, selling and preparation of 1.5 million used vehicles every year. Sponsored by Manheim and taking place at the Cranmore Park Exhibition Centre, Solihull, on November 22nd, it is designed to provide a complete briefing about all of the major trends and legislative changes affecting businesses involved in car and van remarketing including fleets, dealers and suppliers. Key speakers confirmed include Jonathan Butler of Geldards on the latest ASA developments for dealers; Philip Nothard of Manheim on fuel trends; Denis Keenan of KeeResources on WLTP; Owen Edwards of Grant Thornton on dealer economics and; Paul Marchment of Arval on hydrogen cars. More will be announced soon. Glenn Sturley, chair at the VRA, said: “We adopted this conference format last year in order to provide the maximum amount of useful information in the shortest time. It worked very well and was very popular, attracting more than 100 delegates. “The fact is that 2019 looks set to be another difficult year in the remarketing sector, with issues ranging from Brexit at a macroeconomic level ranging to the impact of WLTP throughout the motor industry. Attendance at the conference is free to anyone who is working in any part of the automotive sector and more details can be obtained by e-mailing info@thevra.co.uk.